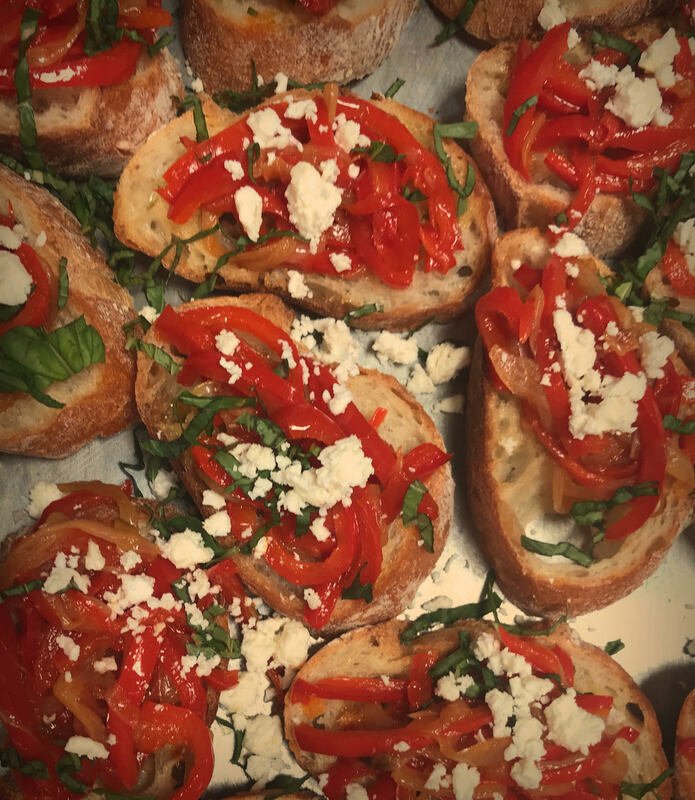 Chef Poppy began last month’s cooking class feast by modifying a New York Times recipe for Mixed Pepper Ricotta Toast. This is a wonderful starter or addition to a light summer meal. 1. Slice the onions thinly, into 1/8″ half moons. 2. Stem, seed, and slice the peppers into thin strips. 3. Heat the oil in a tall sided skillet and stir in the onions. Add salt and continue to stir until onions get soft, about 10-15 minutes. 4. Add peppers and garlic and cook for another 10-15 minutes, or when the peppers are spreadable and everything smells delicious. 6. Crumble feta on top.